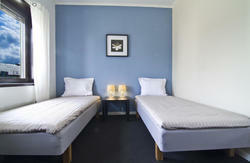 Book your bed at Backpackers Goteborg when you are travelling to Gothenburg. We offer you inexpensive accommodation and a great place to meet other backpackers from all over the world! Our prices are from SEK 195 per person. 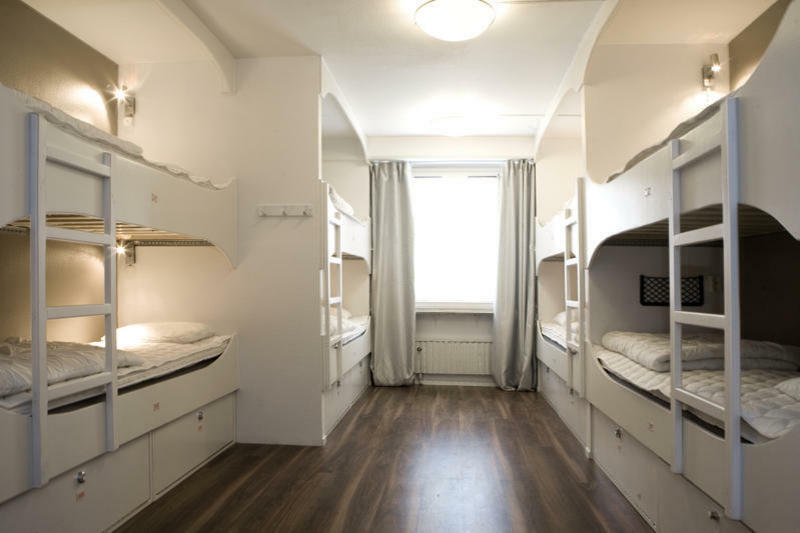 The womens dorm is with 12 beds and the dorm for men is with 16 beds. But you can still get your privacy in these rooms since there are curtains, a little shelf and a storage pocket for your small belongings at every bed. For your security there are boxes for your big bags under the beds that you can lock with a padlock. Also, spring mattresses in all the beds and a power point at each bed for your computer! Of course there is free WiFi! Dont miss a stay here when you pass through Gothenburg! You have 24 hours access to a fully equipped kitchen. If you do not want to do your own breakfast in the morning you can enjoy our fantastic ecological breakfast buffet for only SEK 70 extra. 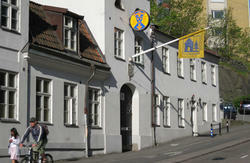 We serve the breakfast at Slottsskogen Youth hostel, just next to Backpackers Gteborg. We offer wireless Internet access at no extra cost to all of our guests. Also film screenings in the evenings and close proximity to Gothenburgs nightlife. You can also for a small extra cost try our sauna or play a game of billiards. Our staff, who man our receptiondesk almost round the clock, will be more than happy to tell you about their favourite places all over the city. We are located in Linnstaden, an area well-known for its wide variety of good food and drink. There are also plenty of small, charming shops in the neighbourhood. Several of the main attractions in our area include the cosy section of town called Haga, Slottsskogen park and the botanical gardens. Slottsskogen, which is just a stones throw from the hostel, is a wonderful place for a barbeque, to see the animals in the zoo or for various group activities such as ball games, etc. Take tram 1 (towards Tynnered) or 2 (towards Hgsbotorp) from Drottningtorget, or tram 6 (towards Kortedala) from the tram stop Nordstaden. Get off the tram at Olivedalsgatan and walk up Nordenskildsgatan for two blocks (ascending street numbers). You will find us at the junction of the streets Nordenskildsgatan/Vegagatan. Backpackers Gteborg is located on Vegagatan 19, you do the check-in on Vegagatan 21 where Slottsskogen Youth hostel is located. Welcome!